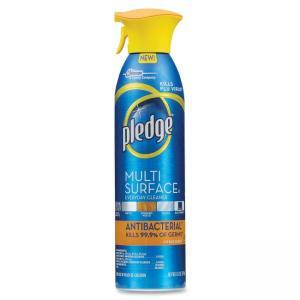 Pledge Multisurface II Everyday Cleaner cleans virtually any surface without harming it while killing 99.9 percent of germs at the same time. Unique formula cleans and disinfects while leaving your finish alone. 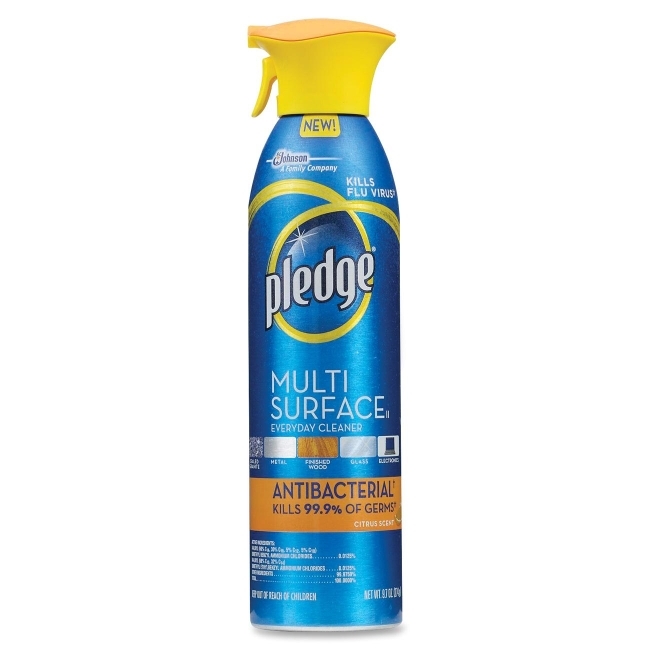 Cleaner safely removes dust, fingerprints, smudges and smears from almost any surface and the no-wax formula leaves no residue or buildup behind. Use on wood, glass, metal, electronics, plastic, stainless steel, chrome, marble, countertops, porcelain and more.